Hello and welcome to the Southside Elementary School Counseling website. This website is designed to help students, parents, and community members navigate through the academic and social world of students. This website will provide resources and information on the academic, career, and personal/social realms of our students today! The mission of the HASD Counseling Department is to guide all students in a positive direction that helps each student develop and flourish in their academic, career, and social/emotional lives. We will provide equity and access for all students K-12 and foster collaborative and integrative partnerships with parents, students, teachers, post-secondary and the business community. The students of the HASD area are all dedicated life-long learners. There is equity and access for all students, and participate in a comprehensive data driven school counseling program that provides each student an opportunity to further their academic and career future. 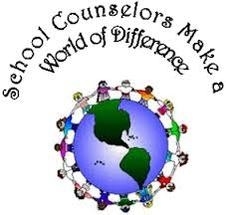 The School Counselors strive for each student to identify and develop their unique spark and passions. The program facilitates collaborative partnerships with teachers, parents, post-secondary and the business community to be caring leaders in guiding our students towards successful well-rounded futures. Southside Elementary School Counseling Program Mission is to guide all students in a positive direction that helps each student develop and flourish in their academic, career, and social/emotional lives. The Counseling Program will be tailored to create a safe and proactive learning community that is aligned with the models of both the American School Counseling Association, and the Huntingdon Area School District. This aim of this comprehensive data driven program is to provide each student with the opportunity to further their growth as lifelong learners. The program will build collaborative partnerships with teachers, parents, and the community to be caring leaders in guiding our students towards successful well-rounded futures. What exactly is a "School Counselor"